Imagine driving this Mustang into your neighborhood. Top up or down it draws attention. Did you notice the low miles? It also has the 5.0 engine which is timeless. the shiftable clutchless automatic transmission includes professional paddle shifters for the maximum in experience and control. This particular Mustang has heated seats and a reverse camera. 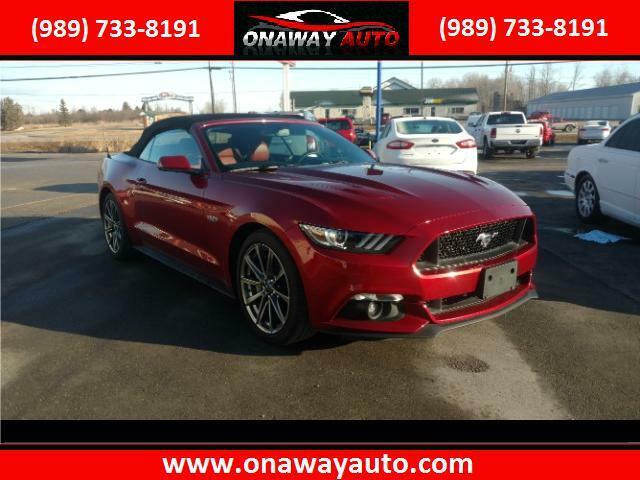 Make the trip or stop in on your way by to Onaway Auto. We have current models to please the most discerning clients, starter vehicles for young drivers, and budget priced options even if you are troubled.